In 2012 I took a fabulous trip to Cuba. I went legally with a photography group. Our mission was to spend six days walking the streets of Havana with our cameras slung over our shoulders. This was a magical time for me. Sometimes I was with a group of two or three other photographers and at other times, I was strolling the streets alone. I took almost a thousand pictures that week. The spirit of Cuba came alive to me thru these images. I found a group of men on a plaza playing instruments to the delight of the passers by. They called themselves Los Mambesis. Los Mambesis refers to the guerrilla Cuban independence soldiers who fought against Spain in the Ten Years War (1868-1878) and War of Independence (1895-1898). 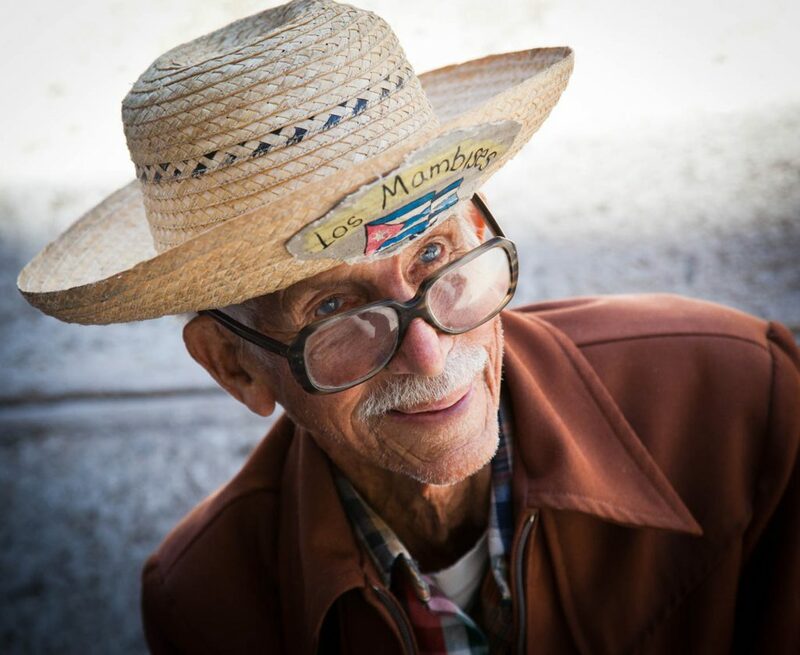 To this day, Cubans, hold the mambises in extremely high regard as an important piece of their cultural history as well as the ideal example of people who lives up to contemporary Revolutionary ideals. 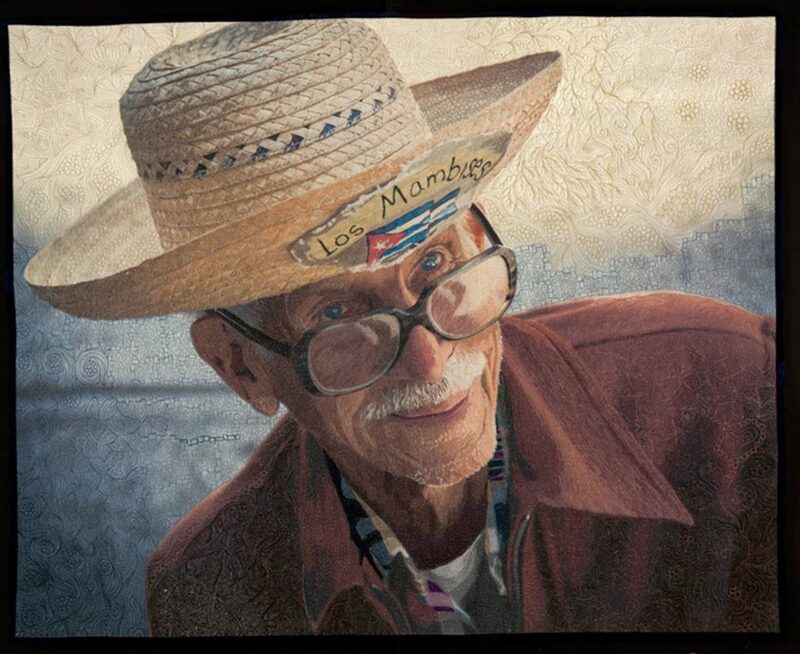 The man in this quilt is part of the group of men who perform daily on a plaza in Cuba. If you go online, you can see more images of them playing their music. This YouTube video is of them performing. He is not wearing his hat in the video. http://www.youtube.com/watch?v=zHc8cPVEi54. He is tapping the top of a bell jar on his suitcase to make music.